Woodstock Hardware works hard to ensure they have the supplies and products you need to prepare your home and family for each of the four seasons we experience here in the beautiful Hudson Valley. And Winter is no exception. With an extensive assortment of; snow shovels, roof rakes, ice choppers, ice melt ranging from rock salt to pet friendly mixes, and all-natural ground volcanic rock, windshield scrapers, hand, and toe warmers, lock deicer, and more, Woodstock Hardware is ready to prepare you to not on face, but to embrace, and enjoy our Catskill Mountain weather. Learn more about the full selection of ice melting products Woodstock Hardware has to offer. Being already prepared for our Hudson Valley and Catskill Mountain Winter weather means being prepared for Winter weather storms. That may mean a 12-18 inch snow fall, an ice storm or high winds that knock down power lines, or a week or ten days of sub zero weather. Or worse, a combination of two or more at the same time or one shortly after the other! During the past twenty-five years Woodstock Hardware has navigated the tricky Winter weather conditions to meet the needs of our customers. There was 1994 when the snow events lined up such that there was a shortage of snow shovels and roof rakes leaving many folks scrambling to keep their homes safe. Woodstock Hardware worked through that challenge by special ordering products from suppliers in Canada who are of course already for Winter. More recently, at the end of 2017, a seven to ten-day cold snap coupled with fuel oil delivery mishaps challenged everyone’s heating systems creating need for oil tank and oil burner parts, heat tapes, space heaters, and cold weather insulating products. Woodstock Hardware “weather that storm” depending on its’ emergency inventory supply, and by utilizing its’ computerized management system to source supplies from various suppliers. So, do you really want to be prepared for next Winter and in turn the next big winter storm? Visit Woodstock Hardware’s Storm Survival Center to find out how not to be left out in the cold and dark. To help you meet your ice melt needs both outside your home, office, and business, Woodstock Hardware not only stocks the products you need but provides a FREE ice melt delivery service so you can “leave the heavy lifting to us!” Learn more about Woodstock Hardware’s Free Ice Melt Club. Join the Club today! Who knows? With all of this help from Woodstock Hardware maybe you will find a few free minutes, sneak down to the store, pick up one of the winter sleds we stock, and hit the Town sledding hill for a few runs! 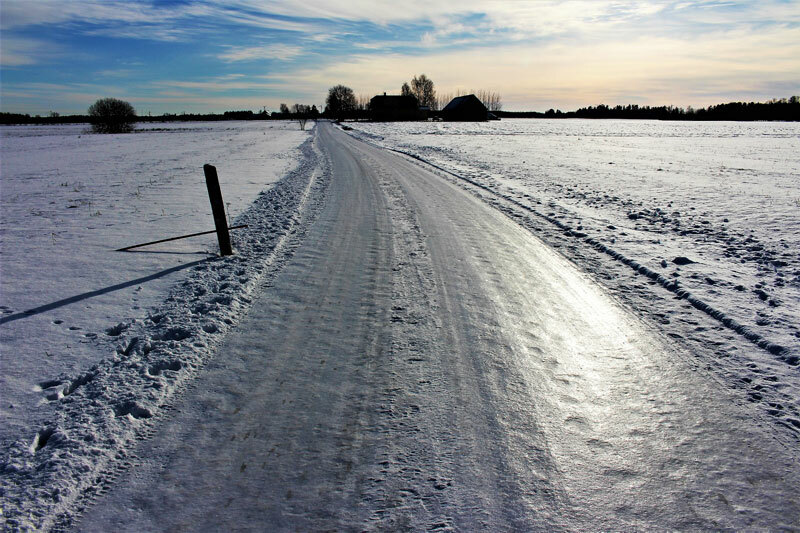 In addition to the selection of Winter Tools and Supplies, Woodstock Hardware can also provide you the technical expertise required to help you get your family through the next Winter. But getting through Winter means being ready for Winter. To get ready for Winter we suggest you visit Woodstock Hardware’s Monthly Maintenance Program. Our Monthly Maintenance Program provides you a list of the maintenance tasks you should think about for each month for your Home, Your Garden, and Your Yard. To get ready for Winter check out our tips for September, October, and November. Visit Woodstock Hardware’s Monthly Maintenance Program. Clean those gutters. Once the leaves fall remove them and other debris from your home’s gutters and give them a good rinse. Old leaves and twigs combined with Winter rain and melting snow can clog your gutters. Clogged drains can form ice dams, in which water backs up, freezes and causes water to seep into the house. Block those leaks. One of the best ways to winterize your home is to simply block obvious cracks, gaps, and air leaks around your house, both inside and out. The average American home has leaks that amount to a nine-square-foot hole in the wall.Buy door sweeps to close spaces under exterior doors, and caulk or apply tacky rope caulk to those drafty spots. Outlet gaskets can easily be installed in electrical outlets that share a home’s outer walls, where cold air often enters. Outside, seal leaks with weather-resistant caulk. For brick areas, use masonry sealer, which will better stand up to freezing and thawing. Even if it’s a small crack, it’s worth sealing up doing so even helps discourage insects from entering your home. Check the furnace. Before the cold weather arrives turn your furnace on to make sure it’s working. It is also a good idea to call and schedule a yearly cleaning. Also throughout the winter you should change your furnace filters regularly. Dirty filters impedes air flow, reduces efficiency, and could even cause a fire in an extreme case. Toss out the dirty fiberglass filters; reusable electrostatic or electronic filters can be washed. 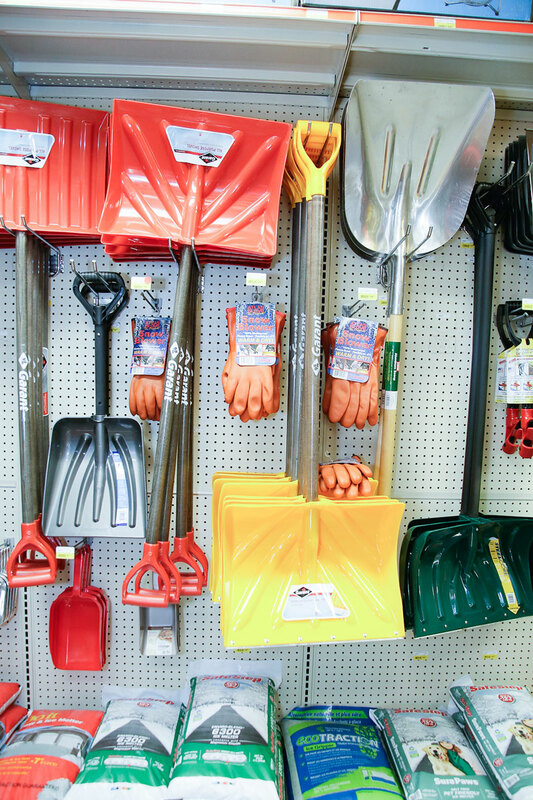 Does Woodstock Hardware make a big deal out of Winter? No not really. Do we take seriously, respect, and prepare for the challenges our customers can face during a Hudson Valley Winter? You bet. Do we try to operate on fear? No, we try to make sure you are prepared so there is no need to fear an approaching Winter Storm event. As “old timers” with more than twenty-five years of experience we understand how if you have been here for three mild Winter’s you may scoff at us! It is understandable. But live through one or two “perfect storms” where Mother Nature forces are lined up to bring some of the most severe weather and being prepared does not seem unreasonable, and might even seem smart! So, as you begin to feel that “nip in the air” stop in Woodstock Hardware, at a minimum, let us help you prepare you, your family, and your home, for the upcoming Winter Season. Stop in, take a look around, ask a few questions. You are sure to find what you want and need. And when you are ready let us help you begin to get prepared for the next Winter Storm. Oh, and by the way, Fall weather in the Hudson Valley can bring Hurricane type weather conditions. Not possible? Well, ask those of us that worked tirelessly to help our customers survive the extreme weather conditions brought on by Irene, and Super Storm Sandy. Those were challenging times.